Corrado's Hayride of Horrors & Haunted House Hackettstown 209 days ago Rate Now! Field of Screams Mountville 242 days ago Rate Now! Gravestone Manor Plains 193 days ago Rate Now! 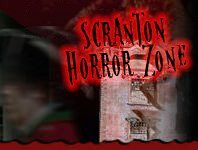 Haunted Hallways of West Scranton Scranton 193 days ago Rate Now! Hotel of Horror Saylorsburg 246 days ago Rate Now! Pennsdale Haunted Barn Pennsdale 183 days ago Rate Now! Reaper's Revenge Scranton 205 days ago Rate Now! ShocktoberFest Sinking Spring 245 days ago Rate Now! The Haunting at the Waldorf Hotel Lehighton 245 days ago Rate Now!